Your windows can now outsmart the elements and stay clean throughout the year. We exclusively use Windowguard with sheeting action. When applied to your windows during cleaning Windowguard will help keep them cleaner, longer. 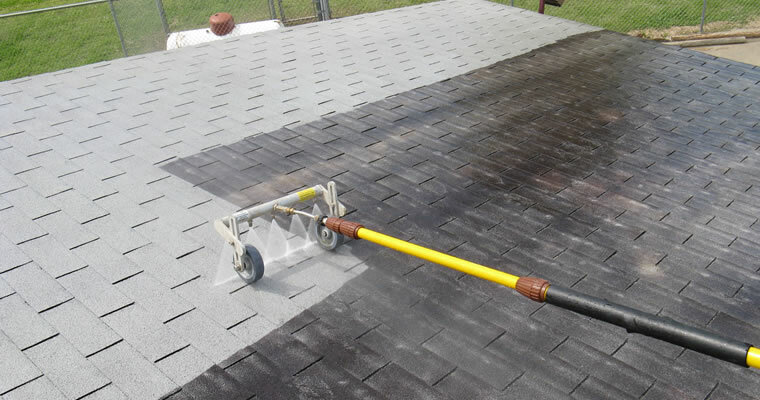 Power Washing of your home’s exterior including patios, porches, decks, siding and driveways! A power washing service of your home can really go along way and revive your curb appeal! At Brower & Sons, we pride ourselves on providing the best possible exterior cleaning in Haupppauge with the best possible service! Our customers choose Brower & Sons over other exterior cleaning services because we use only products that are environmentally safe. This means that your children and pets will not be harmed in the cleaning process. When you want your home to look it’s best with out the cost of renovation call 516-889-7926 and ask about our Pressure Washing Services. For MONEY SAVING coupons for our Hauppauge power washing, gutter cleaning, chimney cleaning, window washing and repairs click below.